For some time now, there have been three big names on the mobile market: Google, Microsoft and Apple. All have their own online store along with supporting apps. Today we tested SkyDrive, Microsoft's Android App which allows you to access Microsoft Cloud Storage. These services are becoming increasingly important for business. In a time in which several mobile platforms compete against each other ( Android, Windows Phone, iOS - the others are rather marginal) these big names need to find new ways to keep clients. This works primarily with hardware and is mainly how Apple makes money while Microsoft and Google indirectly do via licensing or Android devices. But what to do when customers switch? How can a company still keep that customer for themselves? Well it's simple: through services. Those who enter this ecosystem need to take switching in mind. But many will invest in apps and services. Apple is very strict, only offering its mobile services to Apple devices , while Google and Microsoft make their platforms a place of competition for many different kinds of apps, even from other operating systems. I use a lot of Google services: the Play Store, Play Music (incl. All Access ), Google Drive, Google Docs , Gmail, Google+ etc. , and all go perfectly well with my Android devices. But I also use Microsoft services and products: Windows 8, Office 2013 , Outlook (formerly Hotmail) and Skydrive . These also work well together. Office 2013 will cost me $10 a year as a student and I still get to 20GB SkyDrive online storage in addition to the 7GB given to every Outlook user . At home I work with Office and the documents are automatically stored on SkyDrive, where I can edit them together with fellow students. And thanks to the SkyDrive app for Android, I can access the files on my mobile devices too. What can and can't the SkyDrive do? In short, Google Drive, the app for Google's online store, can do a lot more. However the most important things can be conveniently and easily done with SkyDrive: create folders, download and upload files. You can on the other hand forget about editing documents which you need to do via browser. Unlike Apple's iCloud, any Android user can access SkyDrive. When uploading and downloading images, you are able to reduce its size. In addition, you can rename files, share via social networks and app and release (only view / download / edit ). Whether you like Microsoft's new design is a matter of taste. I like the minimalist design because it provides a clear and legible overview. SkyDrive for Android does not adhere to Google's design guidelines, but it still looks great. The controls are equally as good. You can easily switch between two view types (list or larger previews ), upload files, create folders and update. The controls for these four functions can be found on a blue bar at the bottom of the screen. Thanks to its good design and somewhat reduced functionality, you will be able to find your way around the app immediately. SkyDrive for Android has run smoothly for me for months. The app works quickly and never once did it crash. SkyDrive is free of charge and free of advertising and is available in the Google Play Store. Google Drive offers more features than SkyDrive, which can also edit documents, mark files or create favorites. If you had to choose between the two services and you also use Android, Google Drive is definitely the better choice. Nevertheless Skydrive does offer key features and works well with Windows and the Microsoft ecosystem together. Not nearly as good as other cloud options on Android like Drop Box from what I see thus far. Seems like really late in the game on Microsoft. 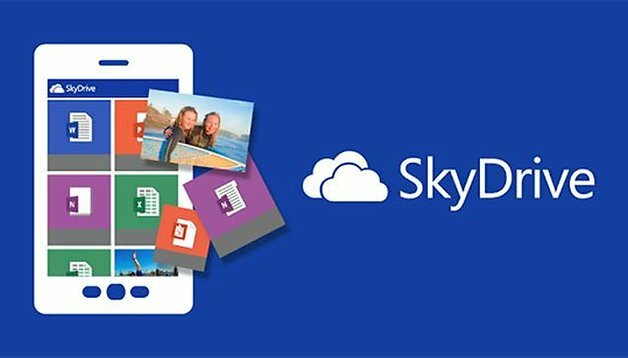 The integration of sky drive into Office 365, Windows 8 RT, and Windows 8.1 is the only selling point in my opinion, and how many people actually use A Surface (tm) it was also doomed it seems because of the late entry into the now very crowded Tablet market.